Exploring applications of technology in the classroom, and reflections on teaching. 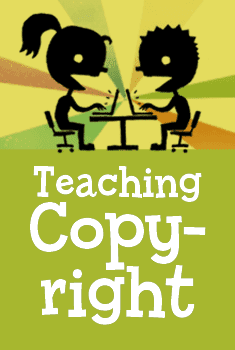 The Electronic Frontier Foundation has just released curriculum for teachers to teach students about their rights and responsibilities when it comes to copyright. The materials are free, Creative Commons licensed, and include handouts, goals and objectives, lesson plans, background material, and links to further information and related materials (such as Cory Doctorow's young adult science fiction novel, Little Brother, which won the Ontario Library Association's 2008 White Pine award). All in all, it's very well designed, exactly what you'd expect from any good teaching resource. Given the emphasis on media literacy across the curriculum, copyright is definitely something we should be teaching students.